In New Hampshire, low-voltage landscape lighting is not as popular as it is in other parts of the country that have warm seasons year-round. Perhaps it’s this seasonal perception of lighting – or just that we are frugal New Englanders – that will cause homeowners to look for affordable landscape lighting options. 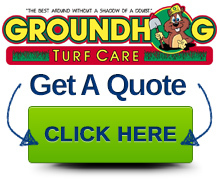 When they come to Groundhog Landscaping, they are sometimes shocked to find that our pricing is much higher than what they see in the big-box store. Our company is always competitive on price – so what gives? Well, there are some stark differences between the do-it-yourself landscape lighting kits you find in the home improvement stores and a professionally installed landscape lighting system from Groundhog Landscaping. Construction. The fixtures sold in box stores are designed to last only a few years. They are – for all intents and purposes – temporary lighting. In the harsh New England climate, we recommend solid brass or copper fixtures to our clients. Most home improvement store lighting is powder-coated aluminum or other inferior metal alloys that fade and corrode in a short period of time. Wiring. An outdoor lighting system is only as good as its weakest link. The wiring in our lighting products is airline grade; the connections are fused and silicone-sealed against moisture. By contrast, the connectors in do-it-yourself lighting kits are often clip-in or stab connectors that corrode quickly, or come apart when accidentally grabbed by a rake. Voltage. A properly-volted system ensures that you get the longest life and truest color out of the lamps. Low-voltage transformers in lighting kits have a maximum output of twelve volts – not enough voltage to light the lamps properly on wire runs that are far away from the transformer, or ones with multiple fixtures on them. Custom Design. Perhaps the greatest value you receive with a low-voltage lighting system from Groundhog Landscaping is a landscape lighting design. Boxed lighting kits have four path lights, two bullet lights, and two floodlights. But is that what you need? Our lighting designer will assess your landscape and design a unique lighting system just for you. Lighting design is not about seeing fixtures – it is about painting the night with light. What features in your landscape would “pop” at night if they were lit up? Proper fixture placement and lamp selection ensures that your landscape looks its best. Professional Lighting is an investment. 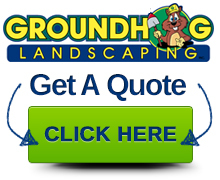 If you see landscape lighting like we do- as an investment that adds value to your property – call us today for a free consultation – and price – to have Groundhog Landscaping install the lighting system you want – one that will last for a very long time. With low-voltage landscape lighting, it is especially true that you get what you pay for!